Big egos. Big explosions. Big box office. These are Men of Extreme Action. Two aging action stars are forced to become partners in one last chance to save their sagging careers. Action movies are dangerous business, especially when a real-life rival tries to end their careers, permanently! Men of Extreme Action is a novel of action and humor detailing the ups and downs of the action movie making business. Action movies peaked in the early nineties and today many action stars struggle to maintain their appeal. This novel explores the formula of making successful action movies and the many catchphrases they have spawned to become part of our daily culture. Action stars Wolfe and Steele have lived off their past glories and now must take a major dose of reality to remain employed and alive! Action, thriller and humor — this book has it all! Men of Extreme Action by James Kochanoff is one of the better books I have reviewed this year. 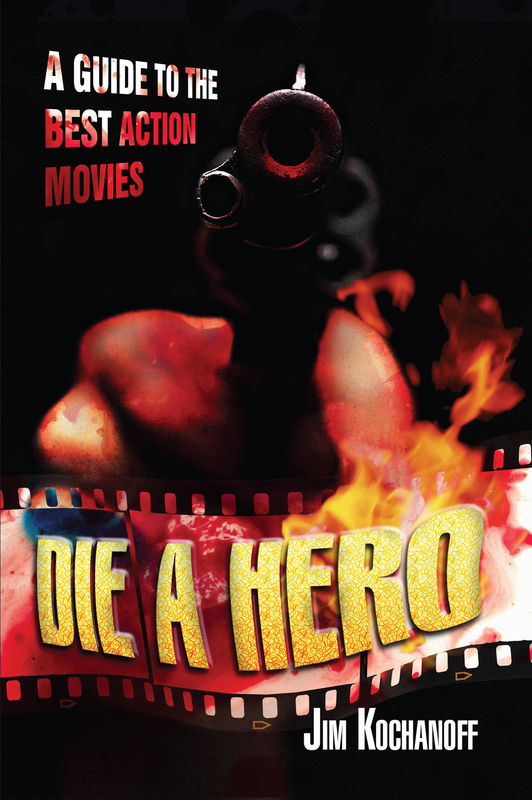 Based in the action movie making industry, James incorporates murder, excellent fight scenes and sabotage. The two main characters are action movie stars that have difficult personal issues keeping them from doing their best. Wolfe Neilson is an aging man who is losing the battle both in his career and with alcohol. Steele Taylor is an older egomaniac who has become ruthlessly rude and demanding. These two actors are forced to make one last stab at reviving their dying careers (and personalities) by making an action movie together. Neither is used to sharing the ‘lime light’ and the antagonism between these two ancient enemies is quite entertaining. Steele and Wolfe are constantly trading insulting wisecracks that had me guffawing aloud—yet in the end they will depend on each other to live through another day. Colorful characters such as Mr. Pang, the torture-trainer who forces Wolfe and Steele to cooperate, and Tina, the agent who mediates many antagonistic situations, brighten the story line. The rival—the most popular action movie star of the day—Blaze Vansome, is easy to hate. Steele and Wolfe are soon living as if inside one of their movies. Who can they trust? Where do they go for help? How does one fight a well-connected crime organization on their own? In their desperate efforts to solve the mystery of who is trying to sabotage their movie, Wolfe and Steele stumble into one hilarious situation into another. Their banter keeps the mood light and the action is so fast paced you will not want to put the book down. 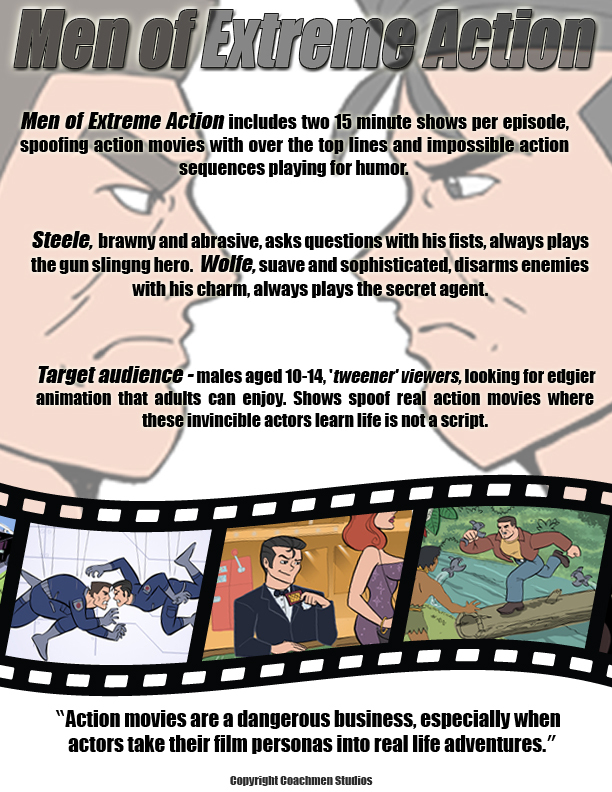 Men of Extreme Action is a humerous look at what might happen if two aging action stars, who hate each other, by the way, are forced to work on a movie together in a last-ditch effort to save both their careers. The main characters are Wolfe and Steele, two actors with super-star egos, trying to recapture their glory days. In order to do so they reluctantly agree to co-star in an action movie, but there are forces at work busily sabotaging their efforts—and that’s aside from their own egos! I found the premise of Men of Extreme Action interesting and believable. You start off disliking both Wolfe and Steele, but as the story progresses you begin to root for them. The dialogue is witty and flows well, and the action is non-stop. Men of Extreme Action is a thoroughly enjoyable read and I recommend it highly. 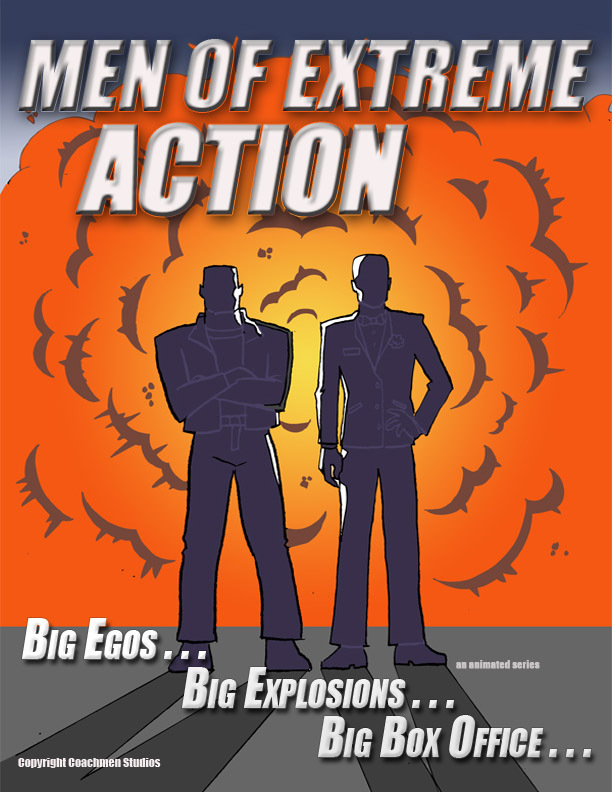 Men of extreme action is an excellent action adventure novel that sees two dysfunctional and unlikely Action Stars team up to save both their careers and their lives . Very funny and a really imaginative premise, that works! 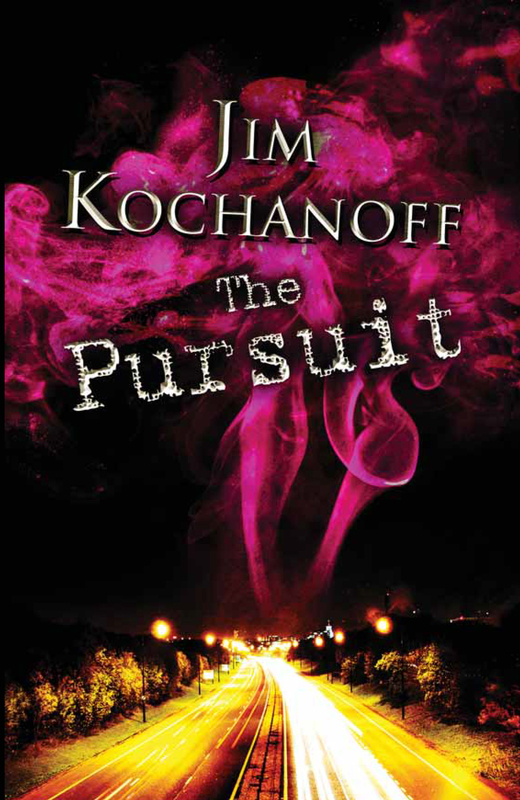 I look forward to Mr. Kochanoff’s next novel.